In 2018 Big Data will include formerly dark data, and virtually every other data platform used by corporations to deliver personalization. In the world of analytics and computational data, two core concepts divide the medium — structured and unstructured data. Structured data is quickly and easily organized and searchable using basic algorithms and tools. Unstructured data, on the other hand, is more akin to human language. It doesn’t cram neatly into relational databases, nor is it necessarily compatible with algorithmic tools and search functions. In fact, those searches can either be simple, difficult or downright impossible to conduct. You never quite know what you’re going to encounter. 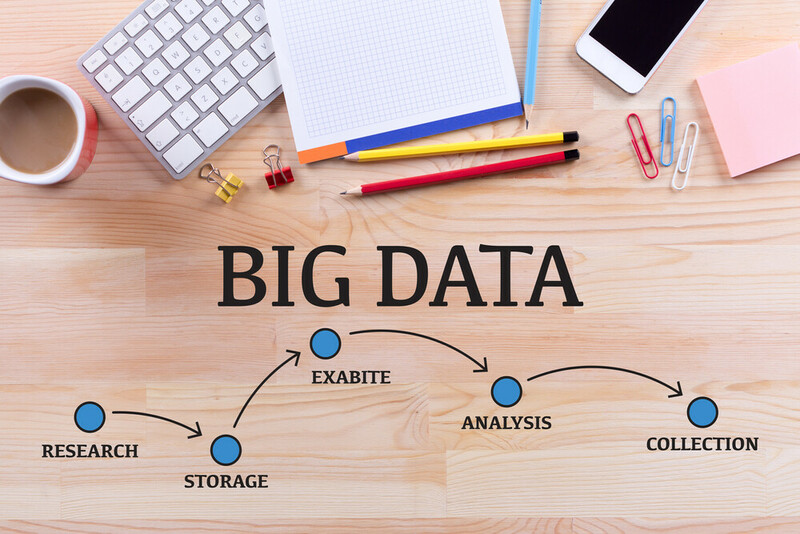 What does all this have to do with big data in the year ahead? Machine learning, AI, and neural networks have completely changed the current landscape. Soon, there will no longer be a difference between structured and unstructured data. These technologies are making it increasingly easy to analyze, organize, scale and even accurately predict trends, all while using unstructured forms of data. According to predictions from Forrester, 70% of enterprises are expected to implement AI over the next year. They’ll likely be able to use that AI technology to analyze unstructured data and create actionable insights from it. This serves as the basis for some upcoming trends that offer incredible potential to all businesses – big or small – over the coming year. Gartner describes dark data as “information assets” that a company may collect over time which they “generally fail to use for other purposes.” In short, it’s operational data that is coming in – like any other kind – but instead of being analyzed and put to use, it simply wastes away, stored in a database. The idea is that the data will be crawled “at a later date” when the business has better tools to extract insights from it. Why would you be collecting and sorting data that you can’t put to use currently? It’s a natural thing that happens as you begin to monitor various customer habits and business processes. The beauty of it is that it’s stored for later, which can be incredibly beneficial for AI and machine learning systems. These tools can process and analyze all the collected data, eliminating the “dark” moniker. Say goodbye to data that’s going unused. AI and machine learning are dependent on the cloud. You cannot have them without it. They both utilize cloud storage and cloud computing platforms to collect, organize and process data. As more companies make the leap to modern automation and AI systems, they will also be adopting the cloud, if they haven’t already. The sheer amount of data exchanging hands will place a much higher burden on remote servers. It will need to have a place to go, it will need processing, and it will need to remain accessible in real-time. The only possible technology capable of this is cloud computing. It’s only natural that these three technologies grow and evolve together over time. Because of that, you can expect to see them combine as one. One thing that’s rather obvious, as we continue to put more reliance on modern technology, especially with the popularity of the cloud, security risks will increase tenfold. We’ve already seen an uptick in high-profile hacks in recent years, where unscrupulous parties make off with incredibly sensitive and damaging data. Cloud security threats are very real. The key to preventing and cleaning up after a breach is understanding why, how, and when they happen. More importantly, it’s about staying on top of current trends and keeping up with the most cutting-edge security procedures. This is nearly impossible for human workforces. But when handled by modern AI and automation tools, security can become more manageable than ever. Companies like Amazon, are already working on these kinds of protective platforms. You can bet we’ll see more arrive over the coming year. For business, there’s nothing as clearly beneficial and innovative as modern chatbots. Why? They can operate as always-on, real-time virtual agents to respond to customer needs. You can deploy modern chatbots on Facebook, Skype, Slack and a variety of other apps and tools. Since the modern market is all about consumer-driven personalization, it’s up to them to come to you and consume content at their own pace. Because of this, businesses are shifting to simply providing support. In other words, you must give them the tools and options, and let them use the resources as they see fit, which fits well with the capabilities of AI and chatbot systems. Chatbots can receive contextual data that allows them to deliver more natural language-like responses and reactions. Plus, you can use these bots in just about any industry. They work great with legal advice, customer service and support, account information and banking and much more.